Many operations in the industry involve the use of machines that will make the task easier for a person to manage. The Afridev hand pump is one such machinery that helps in easing out the hassles that were associated with the use of hand pumps. This is unlike the static hand pumps that are available for purchase in the market. 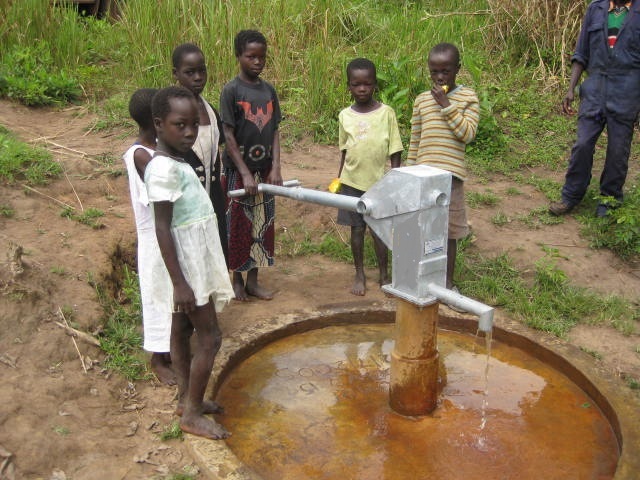 It is designed for drawing water from the deep wells and works best for large communities that need water to serve an average of 300 people. The maximum amount of lift that is granted by the pump is 45 meters. The manufacturing details of the pump can be verified and seen at the dealer’s website. The material of this pump is entirely anti corrosive. It also helps in resisting the huge temperature variations in the surroundings. This pump is easy to install and can be maintained without any hassles by the community where it will be installed. This type of hand pump works on a lever action that expels the water from the mouth. The pulley exerts a peculiar amount of pressure, which will generate higher volume of water as the output. The pump has an open top cylinder which allows an easy piston removal. This saves a person from dismantling the entire cylinder from the rising main. The foot valve that is fitted onto the pump can be easily retracted using a fishing tool. Thus, a complete dismantling and assembling the parts become quite easier for one to handle. The pump also has exquisite features that renders it an unusual quality and worthy as well. The bearing bushes in the pump are made with a special type of plastic and are galvanized using special techniques as well. The handle settings of the pump can be changed as per the height of each person. This makes it entirely customizable and easy to use as well. The Afridev hand pump has a larger stroke length, which determines that the output will be larger. The connecting rods are guarded with rubber sheaths that ensure the safety of the materials. It saves it from wearing out every time it is used for drawing the water. The pump also comes with a manual that makes it easy to install. There are special tools for maintaining and installing the pumps. It will also help in saving the time as well as the cost in buying intricate tools for installation.